ZXP Series 1 Ribbon, ZXP Series 1 Load-N-Go black (k) monochrome ribbon. 1,000 prints per ribbon. The ribbon is used to print black (k) only and primarily used for printing text and one-color line art on one or both sides of a colored or pre-printed card. Compatible with ZXP Series 1 Printer. ID Card Ribbons, ZXP Series 1 Load-N-Go white monochrome ribbon. 500 prints per ribbon. The ribbon is used to print in White only and primarily used for printing text and one-color line art on one or both sides of a colored or pre-printed card. 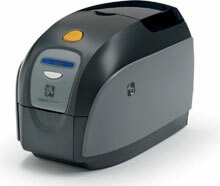 Compatible with ZXP Series 1 Printer.